At Webster Dental Care, our dentists recommend professional cleanings every six months. This schedule can vary, however, based on the patient’s susceptibility to oral infections as well as outside factors such as diabetes, pregnancy, existing gum disease, or a weakened immune system. For typical patients, our dentists suggest professional dental cleanings twice annually for the healthiest teeth and gums. During your professional teeth cleaning, a registered dental hygienist will clean and prepare your teeth for the following dental exam. First, your dental hygienist will use special instruments to scrape off any tartar buildup from above and below the gums. When plaque is left on the surface of teeth and gums, it hardens into tartar that can, if not properly removed, lead to serious dental problems later on. Next, the hygienist will remove any remaining plaque, a white and sticky combination of bacteria, food and saliva, from the teeth. This is a critical step because plaque left on the gums is the initiating cause of more serious dental issues such as periodontal disease. Finally, after all the plaque and tarter has been removed, the hygienist will polish your teeth. Polishing removes staining and gives teeth the smooth, clean feeling that many patients associate with leaving the dentist. 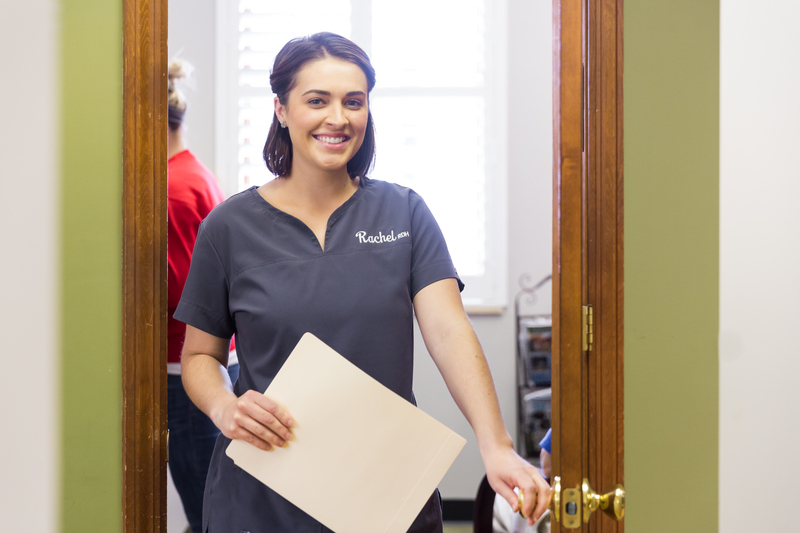 Our hygienists are committed to providing an anxiety-free environment and will thoroughly explain each step of the teeth cleaning process to keep you fully informed and at ease. Once your cleaning is complete, you will be introduced to one of our dentists who will conduct a thorough dental exam to conclude your appointment and address any more serious concerns. At Webster Dental Care, we understand that most people dread going to the dentist, so our friendly and professional staff work with you to make your appointment as comfortable and enjoyable as possible. Dr. David Krobath and Dr. Thakker practice general dentistry. Implantology, Cosmetic Dentistry, and TMJ are specialty areas not recognized by the ADA, and these treatments require no specific educational training to advertise these services.